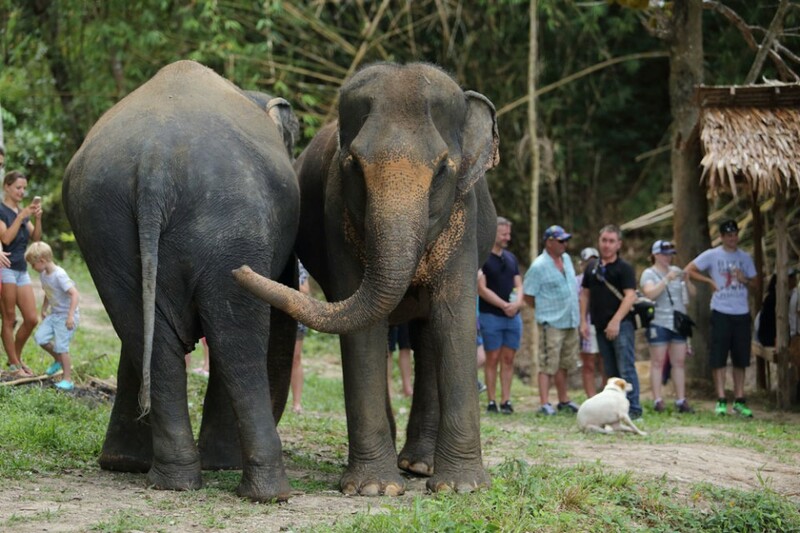 Recently opened, the Phuket Elephant Sanctuary is a new experience that allows visitors to walk amongst the giants and gain firsthand knowledge of why it's so important to let elephants roam in their natural habitat. 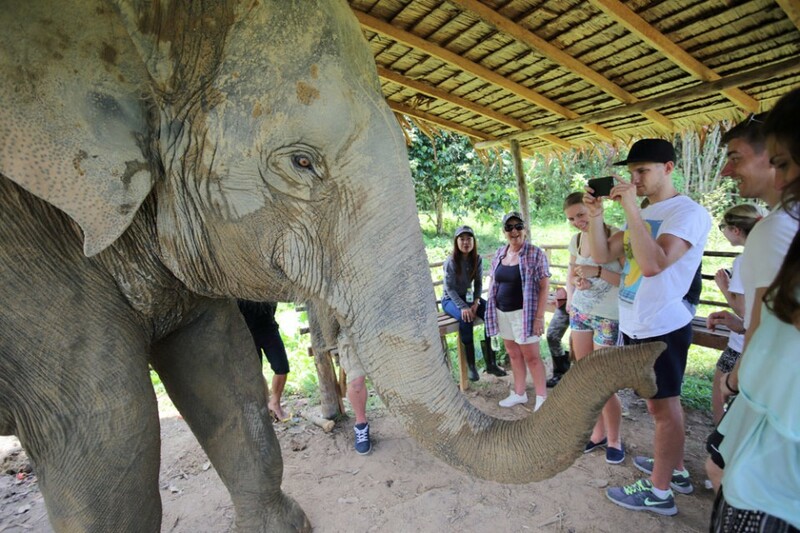 The Phuket Elephant Sanctuary is a wonderful initiative brought to Phuket in partnership with Elephant Nature Park, an elephant rescue and rehabilitation centre in the northern province of Chiang Mai. 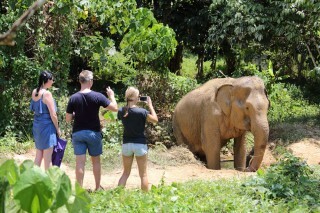 The Phuket Elephant Sanctuary is pioneering ethical elephant tourism on the island by offering retired elephants the chance to live out the rest of their days being well looked after and roaming free. 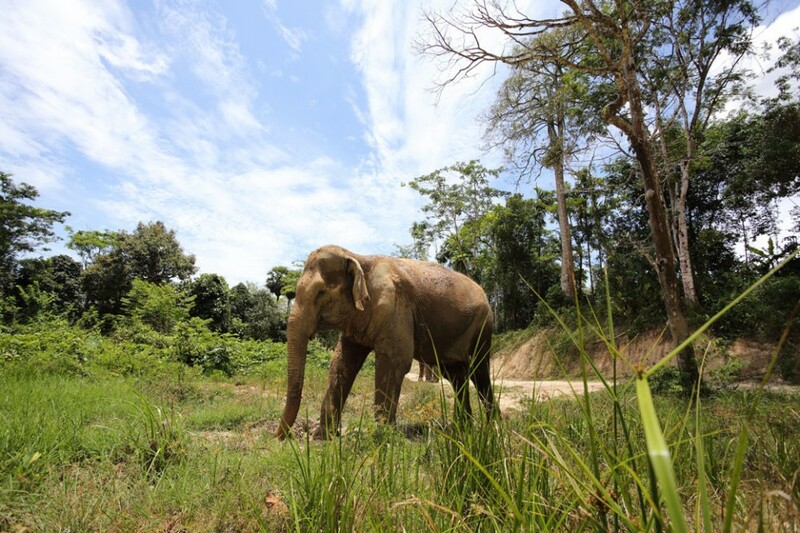 Essentially, the sanctuary is a retirement home for sick, injured, tired or old elephants who've spent their lives working long, exhausting hours in the tourism or logging industry. Although not uncommon in Southeast Asia, this type of work is not only difficult but often conducted under abusive and cruel conditions. The combination of these factors makes the life of an elephant quite unbearable, and more times than not, unbelievably sad. In the north of Phuket, in the Cherng Talay neighbourhood, the Phuket Elephant Sanctuary is located on an undeveloped land parcel that stretches far and wide. Lush, tropical trees line the open grassy fields that now comprise the natural habitat for the elephants at the sanctuary. The grounds of the sanctuary feature a charming treetop reception area and observation platform as well as constructed night shelters for the elephants. A dam has been built, and there are shallow lagoons for the elephants to swim and play in. As the sanctuary continues to expand, more construction will take place in order to accommodate more elephants. Currently, the sanctuary is home to four gorgeous elephants of enormous stature with unique personalities. 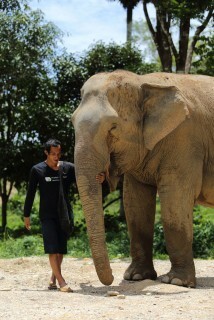 Prior to coming to the sanctuary, these elephants were often traumatized by harsh working conditions. However, those days are far gone now and the resident elephants are being shown love and kindness and are finally understanding what it means to be truly happy and free. 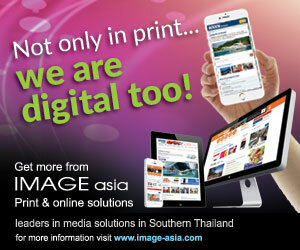 The lovely creatures that rule the roost are called Dok Gaew, Kannika, Madee, and Gaew Ta. The youngest elephant is 32 years old, while the others are now middle aged. 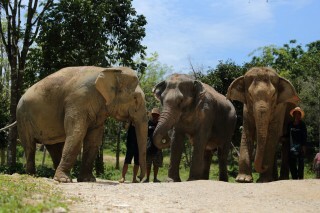 During a visit, it's possible to get up close and personal with Dok Gaew, Kannika and Madee. However, aside from observing her eat fruit from the observation platform, interaction with Gaew Ta is limited as she is blind and understandably slightly nervous around, not only the other elephants, but also strangers. The meeting point for the morning tour is at Monkey Pod Cafe, a charming little coffee shop located on the road to Ao Por Marina on the east of the island. Once there, representatives load participants into various modes of transport and make their way to the sanctuary. 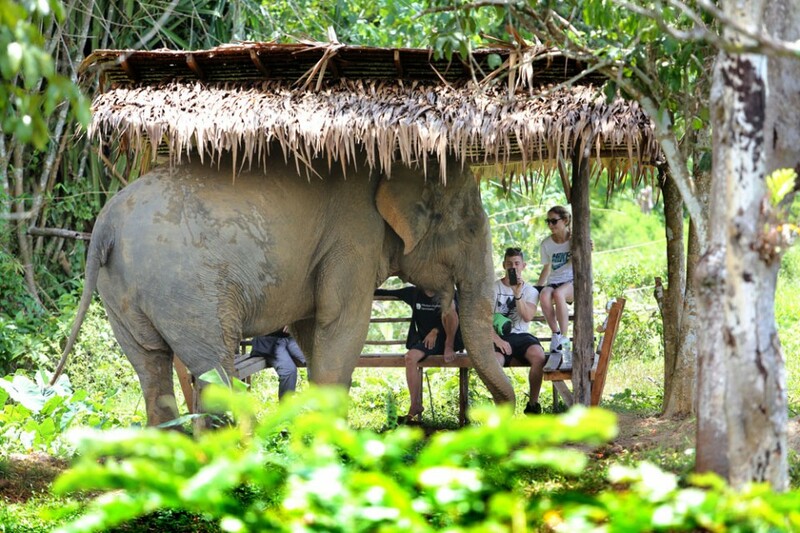 The tour begins in the treetop reception area where the breathtaking views are further enhanced by watching the elephants roam around the grounds. 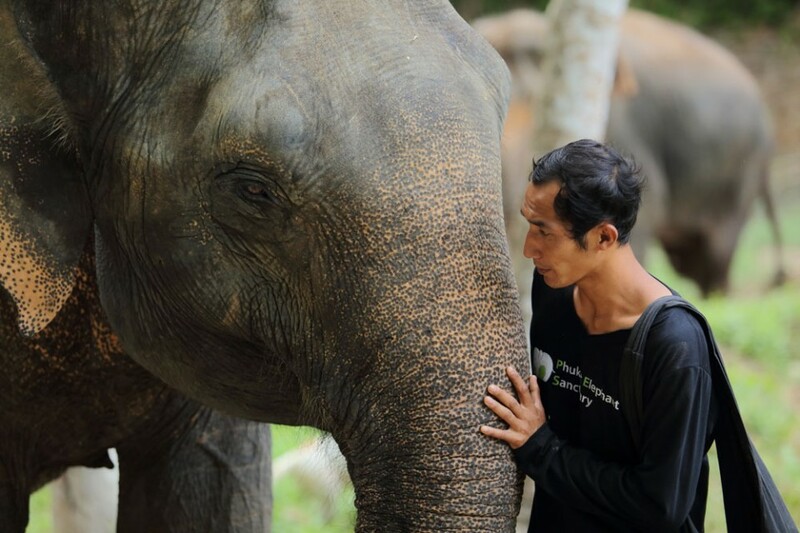 After an introduction from the project managers, a short video is shown that highlights not only the good work that Elephant Nature Park in Chiang Mai is doing, but also explains the darker side of the tourism entertainment industry that many of Thailand's elephants are a part of. It's an eye-opening video that tactfully highlights why ethical elephant tourism is so very much needed. After the video the tour really rolls into action, and it's amazing just how quickly the 90-minute visit goes it's an outstanding educational experience. The opportunity to get up close and personal with the elephants, ranging from their feeding to following them around the verdant grounds of the sanctuary, is just amazing. Watching the elephants interact with their surroundings is awe-inspiring as the elephants look so happy, so relaxed - and very much like mischievous children when it comes to pulling down bamboo trees not only to munch on, but to also play with. A true highlight of the tour is watching the elephants splash and play in one of the shallow lagoons not far from the reception area. 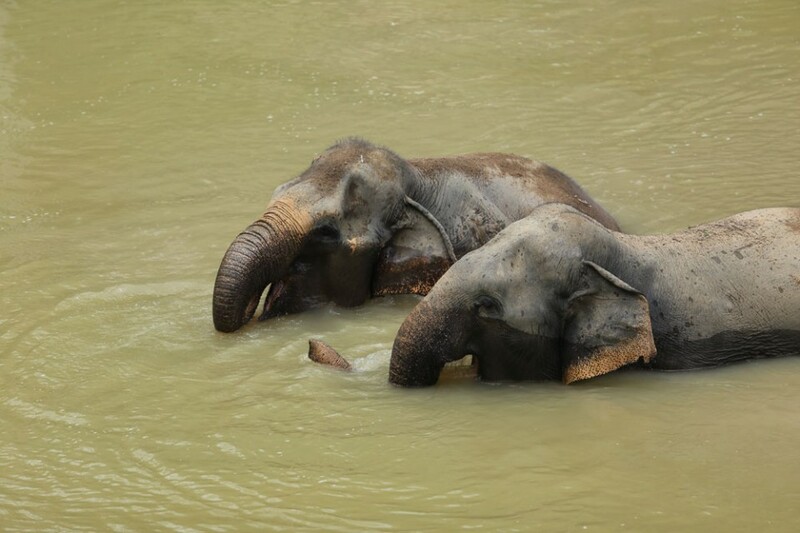 Elephants do indeed like to swim, and watching as they throw water at one another and do a bit of customised elephant snorkeling truly is delightful. It's heartwarming to see the elephants comfortable and carefree in their natural habitat. At the tour's conclusion, a tasty vegetarian lunch is served and it's during this time that you get the chance to pose further questions to the project managers, or the very engaging tour guides and other staff, regarding the sanctuary itself and the continued wellbeing of the elephants. 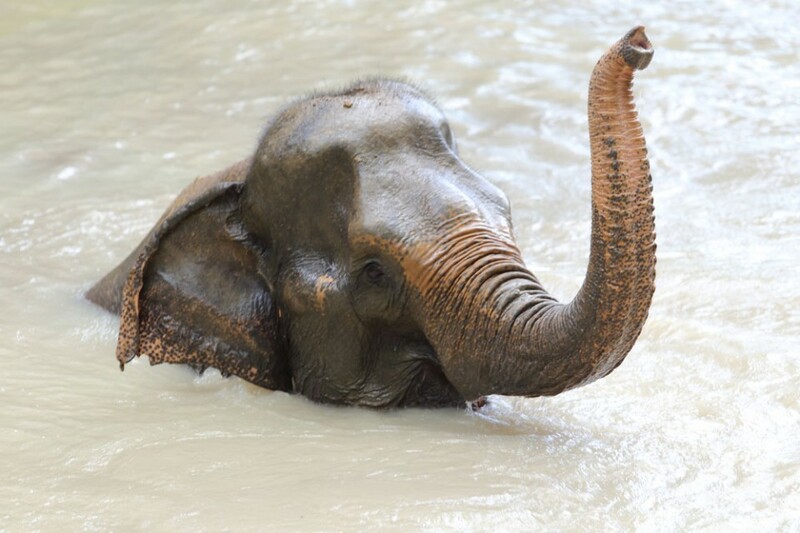 Interested in learning more about the Phuket Elephant Sanctuary and the wonderful work it's doing looking after retired elephants? Do visit the sanctuary's website at phuketelephantsanctuary.org or follow the venue itself on both Facebook and Instagram. Information regarding volunteer work and the funding policy with regards to donations can also be found on the website. 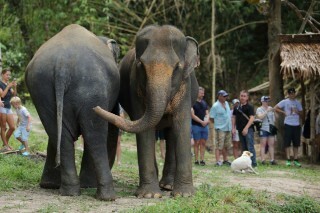 We encourage visitors to the island, locals and expats, to take the time to visit the Phuket Elephant Sanctuary. 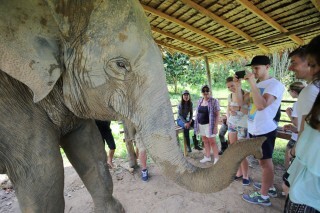 A morning spent at the sanctuary truly is a fantastic experience that's both educational and awe-inspiring. 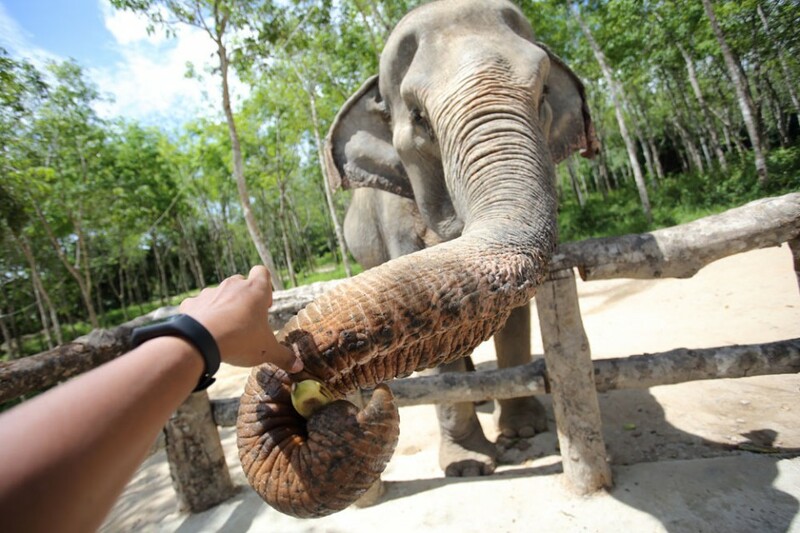 It's a one-of-a-kind experience a testament to a few people making a very big, very positive change for elephants formerly working in the logging industry or being used in the tourism entertainment industry on the island.